This has been in my personal collection a long time and it is a first place award for the 1939 Ski Competitions in Kitzbuhel Austria. These plates are without a doubt one of the most attractive manufactured by the Allach firm. 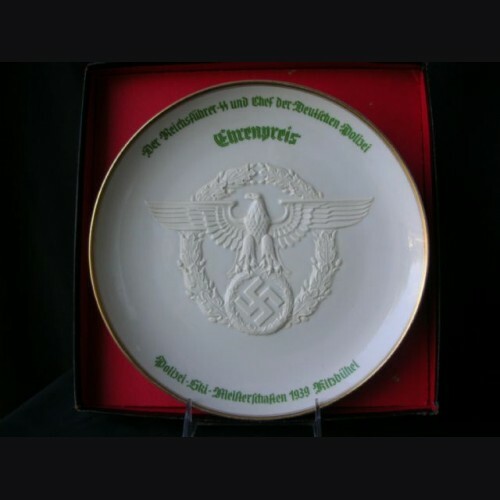 The bisque polizei eagle, green lettering, and gold border coming together with a Himmler presentation make these most desirable, and the box is in nice shape and a nice add.